John Densmore walked out onto the stage drinking from a bottle of Corona, and both he and Robby Krieger enjoyed an explosive standing ovation from the sold-out crowd. 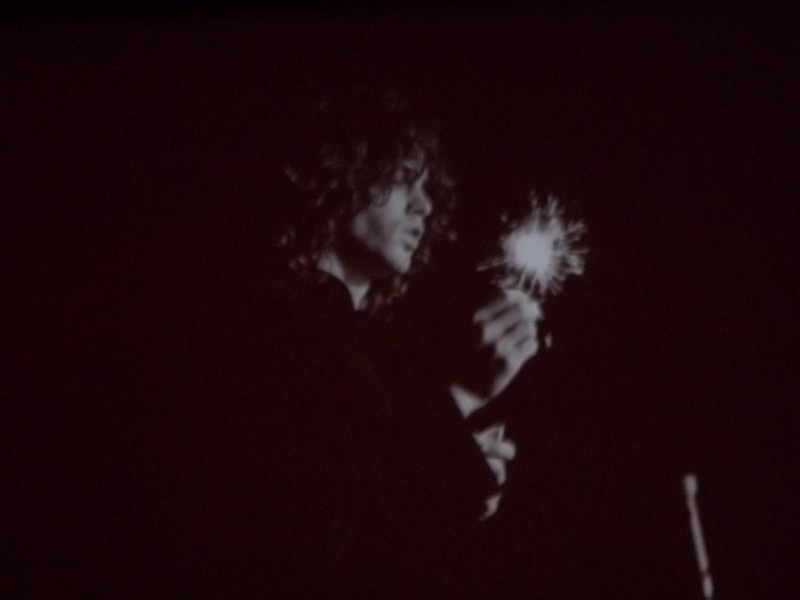 The two surviving members of The Doors, led all of us in a poignant moment of remembrance and respect for keyboardist Ray Manzarek, who died in May, and singer Jim Morrison, whose birthday is on December 8th. They said that they had hoped to make this tribute appearance on his birthday, but the scheduling just didn’t work out that way. Densmore and Krieger shared incredible stories about how Jim Morrison wrote the lyrics to “People Are Strange” at sunrise one day and Krieger told us that the inspiration for the lyrics “Don’t you love her as she’s walking out the door?” came from his girlfriend at the time who had a habit of slamming the door as she walked out after they fought. They also explained that the “L.A. Woman” recording session wasn’t going well until they moved it to their rehearsal studio, where they were much more comfortable. 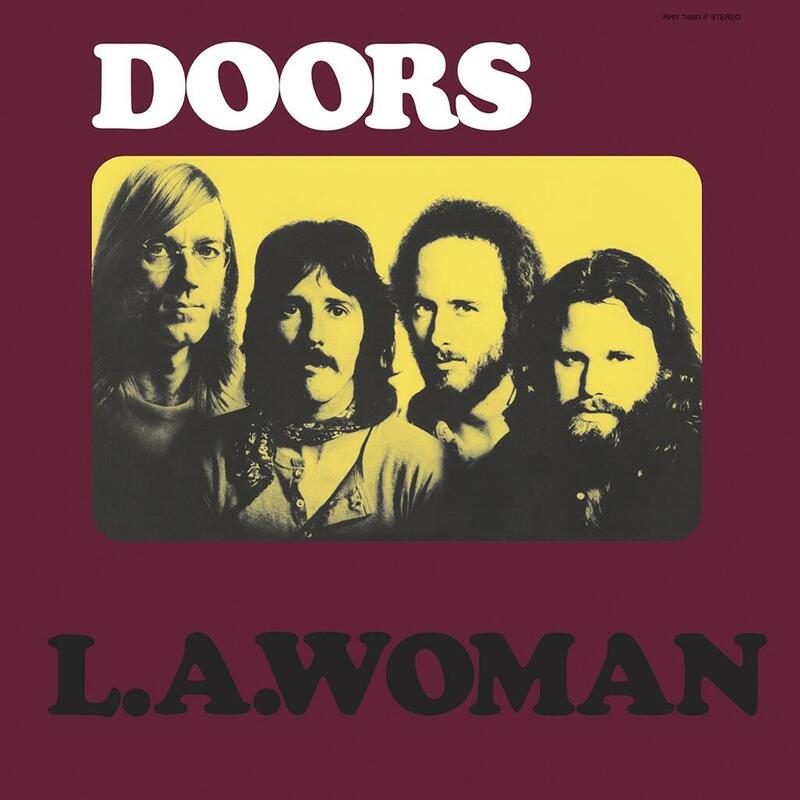 That recording session was the last time The Doors were together. When they finished recording, Jim Morrison flew to Paris with Pam and three months later he was found dead in the bathtub of his apartment. As if this wasn’t an extraordinary evening already, Densmore announced “We’re going to play a little music” and the crowd went wild. 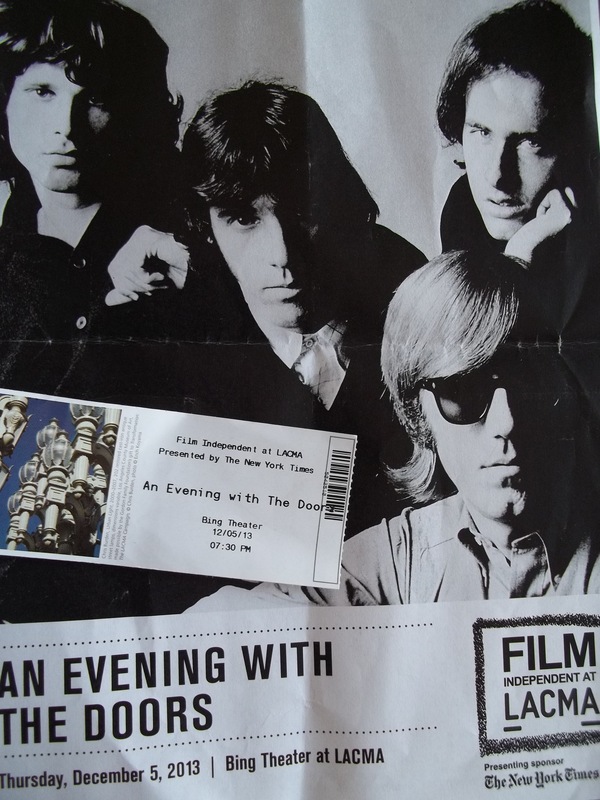 The curtains opened to reveal their instruments and after a brief break, John Densmore returned to the stage. Before they started Densmore said, “We’re known for our guitar playing and drumming, so you’re gonna help us sing.” Krieger proclaimed “this is the first time John and I have played together in 100 years,” but in reality it was more like 13 years. 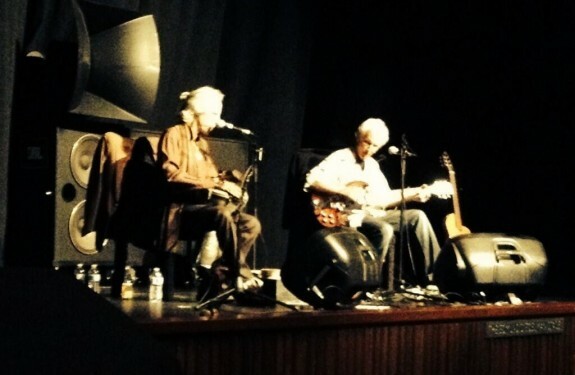 As Krieger strapped on his guitar and Densmore picked up his table, a few fans started yelling out their favorite Doors’ hits, but John laughed and said, “No requests.” There, onstage, right in front of me, Robby Krieger and John Densmore of The Doors performed together for the first time in over a decade. Densmore multitasked, playing several percussion instruments, including bells that he attached around his ankle.